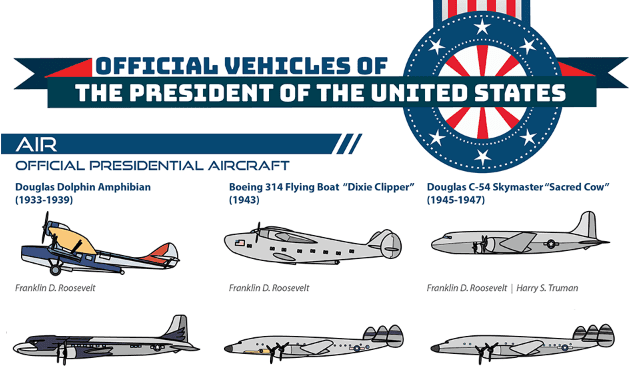 Official Vehicles of the President of the United States #Infographic ~ Visualistan '+g+"
The following infographic from TitleMax.com takes a look back at all civil vehicles that our Presidents had and still have. As you will see, vehicles of the head of the country are not limited to just automobiles. The Presidential garage has been long extended to airplanes, yachts, and even a bus.